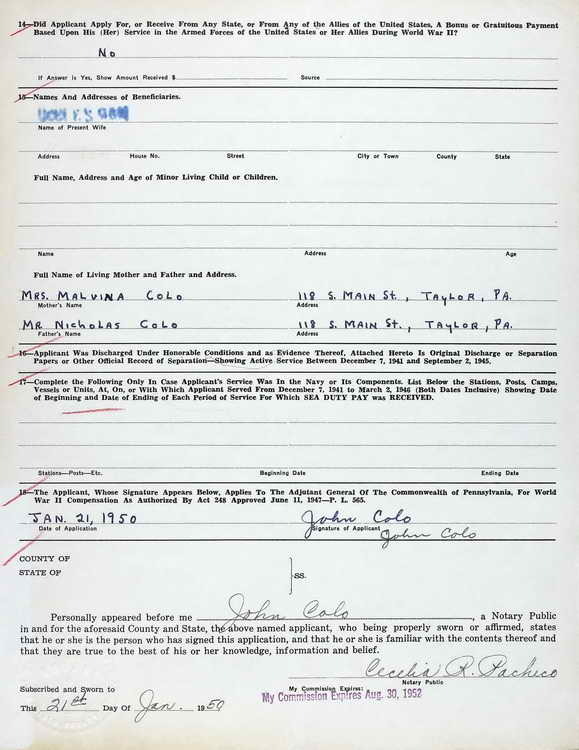 Submitted by John Colo on 21 January 1950. He was credited with 22 months of domestic duty and 11 months of foreign service. He was awarded a $375 bonus payment. 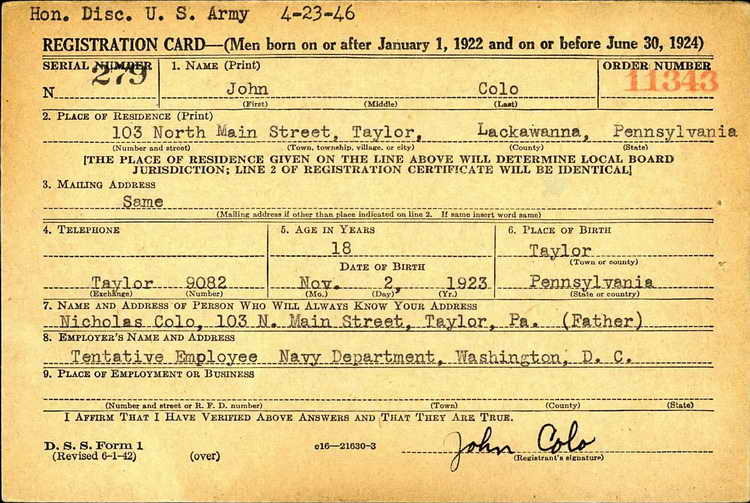 John enlisted in the Army at Wilkes Barre, PA on 3 June 1943. Pfc Colo was transferred from the 6900th Reinforcement Depot to Hq 2nd, 508th PIR on 15 June 1945. 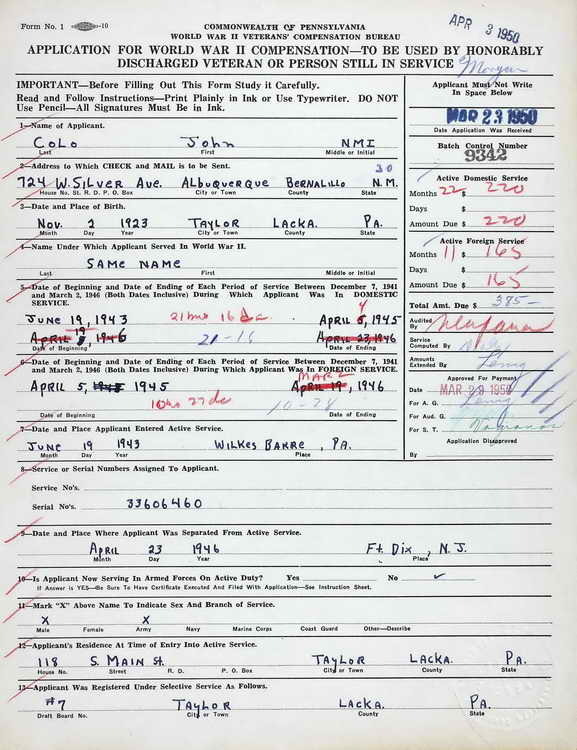 He was discharged on 23 April 1946.